Rook Kathryn A, Brown Dorothy C, Rankin Shelley C, Morris Daniel O Case-control study of Staphylococcus lugdunensis infection isolates from small companion animals. 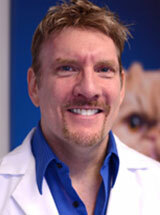 Veterinary dermatology : , 2012. Davis Meghan F, Iverson Sally Ann, Baron Patrick, Vasse Aimee, Silbergeld Ellen K, Lautenbach Ebbing, Morris Daniel O Household transmission of meticillin-resistant Staphylococcus aureus and other staphylococci. The Lancet infectious diseases 12: 703-16, 2012. Morris D O, Lautenbach E, Zaoutis T, Leckerman K, Edelstein P H, Rankin S C Potential for pet animals to harbour methicillin-resistant Staphylococcus aureus when residing with human MRSA patients. Zoonoses and public health 59: 286-93, 2012. Griffeth Gregory C, Callori Nancy, Rankin Shelley C, Boston Raymond C, Morris Daniel O Optimization of a Staphylococcus aureus adhesion assay for equine corneocytes. Veterinary dermatology 23: 57-60, e13, 2012. Cain Christine L, Morris Daniel O, Rankin Shelley C Clinical characterization of Staphylococcus schleiferi infections and identification of risk factors for acquisition of oxacillin-resistant strains in dogs: 225 cases (2003-2009). Journal of the American Veterinary Medical Association 239: 1566-73, 2011. Cain Christine L, Morris Daniel O, O'Shea Kathleen, Rankin Shelley C Genotypic relatedness and phenotypic characterization of Staphylococcus schleiferi subspecies in clinical samples from dogs. American journal of veterinary research 72: 96-102, 2011. Morris Daniel O, Boston Raymond C, O'Shea Kathleen, Rankin Shelley C The prevalence of carriage of meticillin-resistant staphylococci by veterinary dermatology practice staff and their respective pets. Veterinary dermatology 21: 400-7, 2010. Morris Daniel O Human allergy to environmental pet danders: a public health perspective. Veterinary dermatology 21: 441-9, 2010. Griffeth, Gregory C. Morris, Daniel O. Abraham, Jill L. Shofer, Frances S. Rankin, Shelley C. Screening for skin carriage of methicillin-resistant coagulase-positive staphylococci and Staphylococcus schleiferi in dogs with healthy and inflamed skin. Veterinary Dermatology 19: 142-9, 2008. Abraham, Jill L. Morris, Daniel O. Griffeth, Gregory C. Shofer, Frances S. Rankin, Shelley C. Surveillance of healthy cats and cats with inflammatory skin disease for colonization of the skin by methicillin-resistant coagulase-positive staphylococci and Staphylococcus schleiferi ssp. schleiferi. Veterinary Dermatology 18: 252-9, 2007. Morris, Daniel O. Rook, Kathryn A. Shofer, Frances S. Rankin, Shelley C. Screening of Staphylococcus aureus, Staphylococcus intermedius, and Staphylococcus schleiferi isolates obtained from small companion animals for antimicrobial resistance: a retrospective review of 749 isolates (2003-04). Veterinary Dermatology 17: 332-7, 2006. Morris, Daniel O. Mauldin, Elizabeth A. O'Shea, Kathleen. Shofer, Frances S. Rankin, Shelley C. Clinical, microbiological, and molecular characterization of methicillin-resistant Staphylococcus aureus infections of cats. American Journal of Veterinary Research 67: 1421-5, 2006.